Why President Rouhani is coming to Malaysia? At the time of President Hassan Rouhani’s ongoing tour to the Southeast Asia and on the eve of his visit to Malaysia Asia WE addressed local experts with a set of questions about perspectives of economic and political relationship between Iran and Malaysia, obstacles for its improvement, in particular in the light of Malaysia’s special relationship with Saudi Arabia, and their perception of what goals Iranian President might be pursuing in this trip. The news about this tour was not published widely, apart from his visit to Vietnam. For whatever reasons the information about Thailand and Malaysia was kept away from the media, it might suggest the seriousness of intentions of the parties to discuss important issues without anyone’s interference. Asia WE tried to find out what those issues are about. Prof. Ahmad Fauzi Abdul Hamid commenting on the possible improvement of relationship between Malaysia and Iran commented: “Malaysia has an economic interest in safeguarding relations, especially in view of the growing community of Iranian expatriates who have chosen to reside in the country. Relations can only get better, but the process will go along with bottlenecks arising from the religious bureaucracy’s wariness over a possible importation of elements of Shi’a beliefs alongside trade and commerce. With rising Salafization of Malaysian Islam and even in the ruling UMNO party in recent years, anti-Shi’a feelings have been growing among the staunchly Sunni Malay-Muslim population. Stakeholders with a Salafized religious outlook, as opposed to the tolerant Sufi-centric disposition that has coloured Malay-Muslims for generations, will not look forward to the warming of relations between Iran and Malaysia. Responding to the question about Malaysia’s interest in strengthening bilateral relationship, Dr. Ahmad Fauzi suggested that Malaysia is after such an improvement, barring theological considerations. “The trip will thus have a positive effect”, he said, “policy makers will be careful to confine the linkages to strictly economic matters, and leaders will seek assurances from their Iranian counterparts that they will not interfere in Malaysia’s religious policies”. With regards to the question about Malaysia’s special relationship with Saudi Arabia and its influence onto Putrajaya’s relationship with Tehran Prof. Ahmad Fauzi objected that “regarding itself as a neutral player in the politics of the ummah, Malaysia will demonstrate that it is not beholden to the Saudis despite the special Malaysia-Saudi relations lately”. “After all, Malaysia enjoys good relationships with many non-Muslim countries, so it should not be a big deal that Malaysia is improving connections with a Shi’ite state”, he pondered. 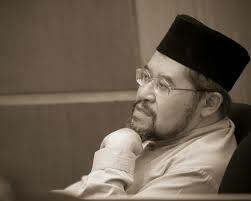 “The critical question is whether those at the commanding heights of the political structure are able to fend off pressure from the powerful religious elite, who will always be watching closely developments in the belief that Iran’s reaching out to other Muslims is never devoid of religio-political motives”, Dr. Ahmad Fauzi concluded. 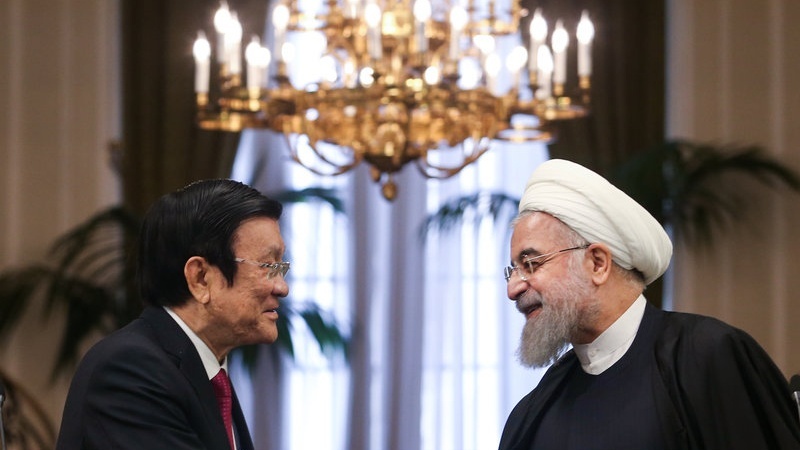 Dr. Mohd Roslan Mohd Nor believes that the trip of Iran’s President Hassan Rouhani to the Southeast Asia and strengthening of its ties with the regional countries can be one of the doors through which Iran reestablishes its relationship with the world. The Malaysian researcher thinks that Hassan Rouhani’s trip to Vietnam, Thailand and especially Malaysia can both open a new page in relationship between Iran and the Southeast Asian countries and reconfigure Malaysia’s ties to the Middle East countries in the context of the Muslim world. This researcher of Islamic history and civilization said that current moment offers a good opportunity for consolidation and strengthening of Iran’s relationship with the regional countries. He added: “The West, partially due to the affluent natural resources in Iran, proved to be after its exploitation and sanctioning in order to press it towards the necessary direction, thus strengthening the ties between Iran and Southeast Asian countries, especially the regional economic powers can help Iran develop its relationship with the world”. He also noted that Iran and Malaysia can cooperation in businesses related to the oil products and palm oil production. Malaysia could benefit from Iran’s experience of using nuclear energy and alternative sources of energy. 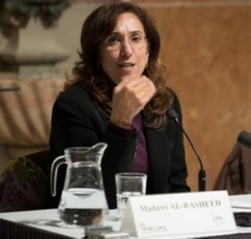 “When Rouhani was elected, I participated in one TV program where I said that he has all chances to succeed, because unlike his predecessor he puts a lot of meaning into dialogue and what the opposite party has to say. And he proved it with outcomes of the nuclear negotiations”. He suggested that it would not be right to consider this strengthening of bilateral ties between two countries as a possible leverage on Saudi Arabia from the part of Iran due to special relationship between Malaysia and KSA. However, Malaysia can perform as a mediator in an effort to improve the relationship between Tehran and Riadh, the relationship that was extremely strained after the execution of sheikh Nimr al-Nimr and incident in Mina. Meanwhile, he added, Riadh is blaming Iran for the intervention into Yemen, and Tehran in response condemns Riadh for supporting terrorist groups. Already before 2013 the majority of countries knew about Saudi support of the terrorist groups, but with the deterioration of the situation in the Middle East with regards to the rise of extremism, we feel it is the time for the Muslim countries to unite against this wave. Expressing the hope with regards to the improvement of relationship between Iran and Malaysia, he suggested that the only way to tackle the rise of extremism and counter terrorist groups is civilizational and religious dialogue, as well as mutual respect in interactions between various groups. “I think the President of Iran can play significant role in this process”, he said. “I hope this trip will be useful for the Southeast Asian in general. 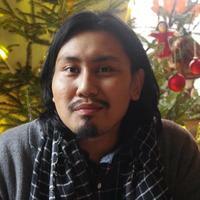 However I have to reserve my comments on how it will affect Iran-Malaysia relationship – let’s wait and see”, Dr. Mohd Faizal Musa, the Research Fellow at UKM commented on the upcoming visit by Hassan Rouhani to Malaysia. Referring to the history of religion, Dr. Faizal Musa recalled that “dialogue has always been the uppermost approach by ‘The Infallibles’. Thus, it is not surprising at all to see Iran applying this tactic. As for Malaysia, this step will put certain quarters in ‘a shameful and defeated’ position. In 2013, for example, Datuk Wan Zahidi Wan Teh, the former Federal Territories Mufti demanded Malaysia to cut ties with Iran, citing that Shi’ism is more dangerous than communism”. However Faizal Musa suggested to be careful with applying the word ‘proactive’ to the development of Iran-Malaysia relationship. He reminded that “in 2015, UMNO vice-president Datuk Seri Dr. Ahmad Zahid Hamidi (who is also Deputy Prime Minister) admitted that one of the reasons for the Prime Minister to receive the RM2.6 billion donation from ‘a Middle Eastern donor’ was that ‘Malaysia followed Sunni teachings and the donor did not want there to be other sects which deviated from the teachings of Prophet Muhammad’”. This was reported widely, he said. “Is this ‘proactive’ step? Will it cause anger from ‘the certain quarters’ mentioned above? Perhaps they will be emboldened? What will be their calculative move afterwards?”, he asked rhetorically. “Economically wise”, he noted, “if Hassan Rouhani during this trip is after strengthening business relationships with the regional countries, it is definitely a wise motion. The trade between Iran and Malaysia was $532 million in 2015 and Malaysia External Trade Development Corporation (MATRADE) is looking to boost the figure further”. 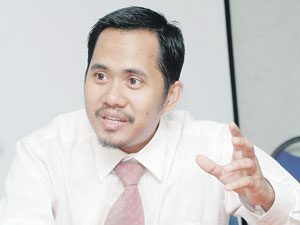 What concerns the special relationship between Malaysia and Saudi Arabia and its effect onto the former’s relationship with Iran, Faizal Musa suggested three points. “First, both Malaysia and Iran are the key players in their own region, and in the Organization of Islamic Cooperation (OIC). With or without Saudi Arabia, the relationship will, and can always blossom. Second, while this visit falls on the month of Muharram, it is also important for Iran to perform vigilance as elements of the ‘Kufa people’ are pretty much influential in the current Malaysian administration. I do hope Iran will take this advantage to remind Malaysia the real culprit within Islam; “the exporter of violence and their agents” will not be comfortable with it. Third, I also need to say that this visit will put the local Iranian sympathizers and Shi’a adherents in Malaysia in a difficult position as the extremists will increase their pressure and may target them with double-force in the nearest future. Indeed, some of the looking back at ‘the Middle Eastern Donor’ with RM2.6 billion donation, hope that Iran at least will not set them up.